Internationally recognized as a leading figure in individual technical development, David is seen as a long-term thinker and visionary, determined to bestow a phenomenal work ethic on the next generation of soccer players. 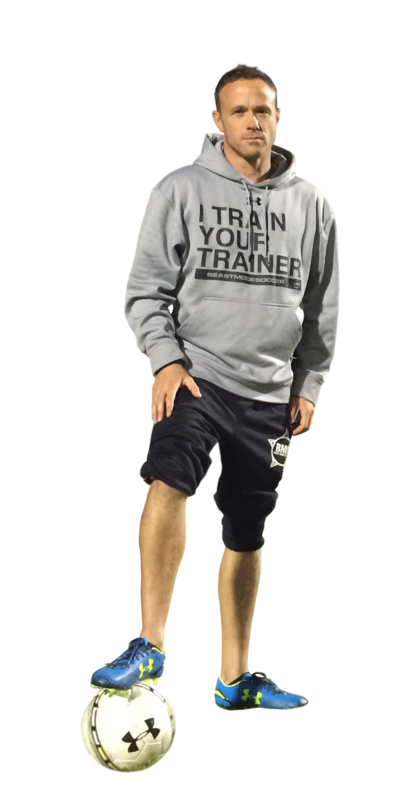 Following his success as a field presenter at the 2014 and 2016 NSCAA Convention's, David has continued to grow Beast Mode Soccer into the go-to technical training system trusted by prominent player’s of the United States Women’s National Team, the United States Men’s National Team, Major League Soccer, English Premier League, National Women’s Soccer League and countless leagues in Europe. Based in Los Angeles, California, David Copeland-Smith created Beast Mode Soccer in 2010 as a training system to help guide players’ technical development and to instill a proactive, progressive mindset of self-reliance and personal accountability within his clients. The result? The creation of a training culture that has attracted the likes of countless collegiate, professional, and international players such as Alex Morgan, Landon Donovan, and Ali Riley and the publication of an award winning at-home training guide to direct players with their technical development while they’re on their own. David’s mission for Beast Mode Soccer was further publicized by his on-field presentation at the 2014 Western Canada Soccer Showcase, where his session, “Creating the Self-Reliant Soccer Player” created a buzz amongst attendees and helped David continue to expand his reach beyond his Los Angeles base. Whether you are a youth club player looking to raise your game to the next level, a collegiate or professional athlete looking to fulfill your playing potential, Beast Mode Soccer will be your guide to help you fulfill your goals.